Credit: League of Legends/Riot Games. It was only six months ago that Kotaku released a report highlighting the culture at Riot Games; the result determined that there was an extensive ‘bro culture’ at the studio with very little in the way of diversity and inclusivity. It was also noted that there was a significant amount of sexism in the offices. Now, however, it looks as though the studio is aiming to try fix its reputation with some new changes geared toward diversity. In a new statement, the company has announced the hiring of Dropbox’s Angela Roseboro as the League of Legends developers’ Chief Diversity Officer. According to a variety of reports, it will be Ms. Roseboro’s position to see overall inclusivity and diversity efforts; she will also oversee the creating of programs aimed at encouraging a more inclusive culture. According to the report by Kotaku, it seems as though this is something that’s desperately needed; one of the more notable things was the host of reasons why women shouldn’t be hired in leadership roles. While it should be noted that there was no policy against women in leadership roles at the company, many employees highlighted how there were often reasons why women weren’t promoted; it was also claimed that these excuses were rarely, if ever, used for men. With the hiring of Angela Roseboro as Chief Diversity Officer, it looks as though Riot Games has officially entered into damage control. The studio has also published an update as to what moves they’ve been making over the past few months to increase diversity in the studio. Currently, it looks as though the company has spent the last six months planning. These programs and efforts are set to begin in the next few months. However, it should be noted that they’ve brought in several outside parties to help evaluate how Riot Games can improve. 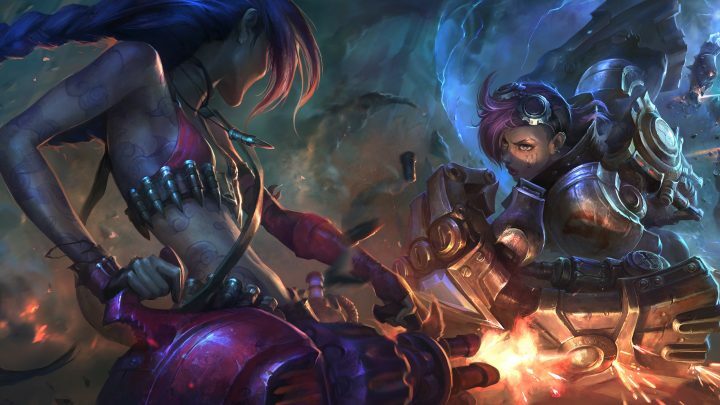 Riot Games has been somewhat of a powerhouse over the past few years; being founded in 2006, the studio hit success with League of Legends. Since then, the company was named one of the best gaming companies to work for; it also boasts 2,500 employees across 20 offices. Reports also suggest that the company has billions in yearly revenue. In 2013 alone, the company reportedly made $1.6 billion. For her part, Angela Roseboro held a similar position with Dropbox. While with the tech giant, she served as Global Head of Diversity, Equity, and Inclusion.